He hardly gave it any thought, until one of the clay balls slipped from his hand and fell down, cracking open. What did he see inside? A beautiful, precious stone! Excitedly, the man started to break open the remaining clay balls. Each contained a precious stone. He found several precious jewels in the 20-odd remaining clay balls, which would easily fetch him thousands of dollars. Then it struck him that he had been walking for a long time. And he realized that he had perhaps thrown 50 or 60 clay balls, along with their buried treasures into the deep sea. Instead of just thousands of dollars, he could have taken home tens of thousands, had he not thrown away those balls! This is what we do in our lives too. We look at some people, sometimes even ourselves, and tend to judge by external appearances. The outside doesn't always look beautiful or sparkling. And so at times we are unable to appreciate the person within. We see the individual as ‘less important’ than someone more beautiful or fashionable or well known or well-off. But, we hardly take the time to discover the treasure hidden within the person. There is certainly a treasure within every one of us. But, how can we unearth this? One, we can spend time to understand the person better. Two, we can pray to God, asking Him to reveal to us the true beauty within, just as He sees the person. It is only then that the clay would begin to peel away and the brilliant gem would start to dazzle. Haven't we all heard that appearances are deceptive and that beauty lies in the eyes of the beholder? A person may look pleasant on the exterior, but might have highly negative qualities within. On the other hand, someone else might have a not-so-agreeable appearance but turn out to be an angel, full of compassion and warmth inside. Hence, it is certainly a mistake to decide about the nature of the person just based on the outward façade. 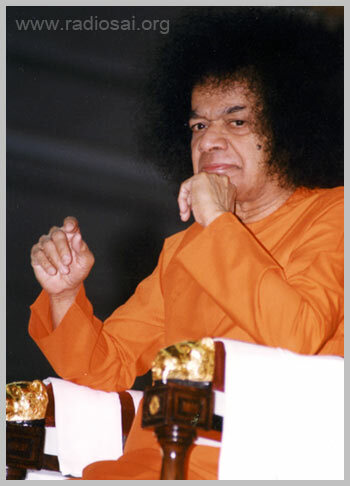 In one of His divine discourses, Baba said, “Inner charm is the genuine beauty. In the Ramayana, Mother Sita interned in the Ashoka forest in Lanka, was suddenly confronted by a monkey. But that ugly creature struck her as full of beauty, when it brought her the long-awaited message from Rama! Thus it is evident that what is inside each of us is what ultimately matters, and not our outer forms. Let us make a sincere prayer to Bhagawan to help us practise this in our daily lives. May we discover the treasures hidden inside people.